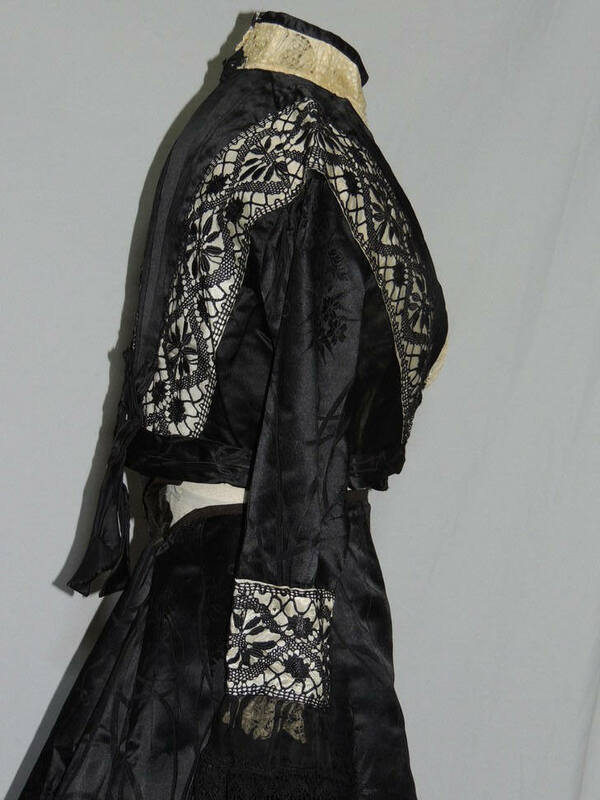 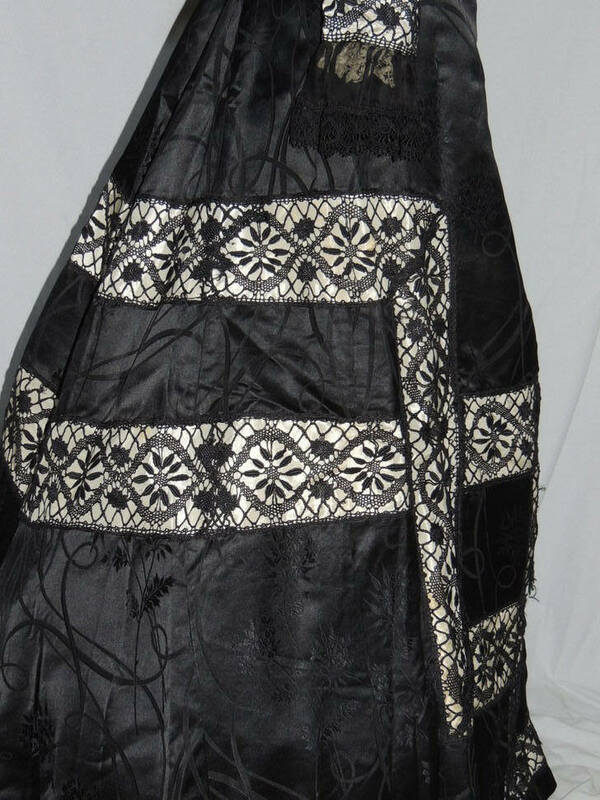 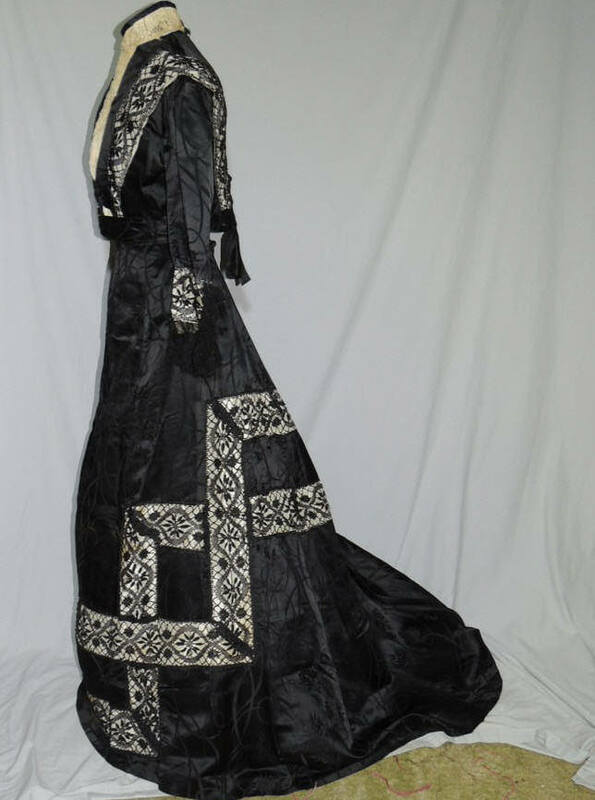 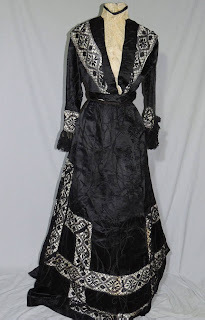 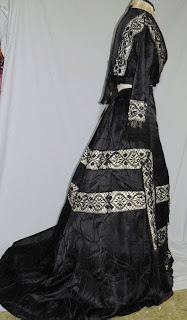 This beautiful Victorian gown is made from black brocade, the bodice is plain silk satin, but has the brocade trim around the waist and making the sleeves. 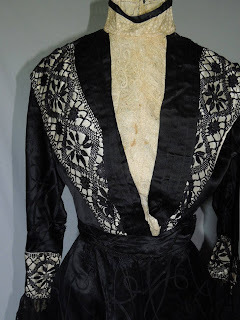 It has wide inserts of black cluny lace, the front and collar is a pretty tape lace, the ivory front has a satin on the lace. 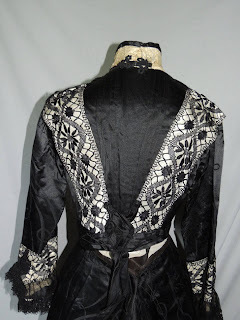 The back has a narrow piece of fabric that zig zat from the waist to hang down and is held in place with small crochet buttons. It's lined in cotton with bones in the seams. 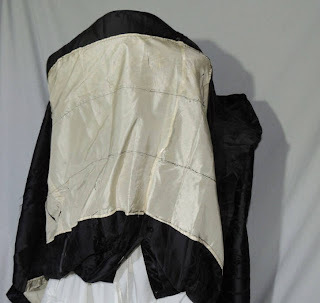 It measures 39 inches around the bust, across the back shoulder is 14 1/2 inches, waist is 32 and it's 17 inches long from shoulder to center front point. The skirt has wide bands of lace, backed in ivory taffeta and falls to a train in back. 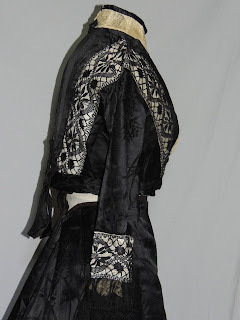 It measures 31 1/2 inches around the waistband, hips are 48 and it's 43 1/2 inches long in front. 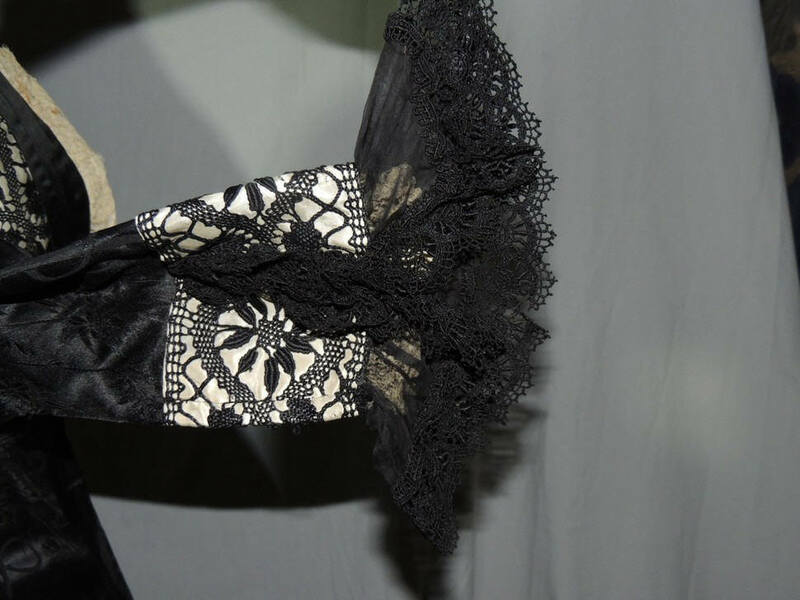 There's a small mend under the waistband by the hooks, another 1/4 inch tear under the waistband and the ivory taffeta under the lace needs replacing, but is super easy to do, it's just one panel underneath stitched along the seam lines that attaches the lace. Otherwise excellent.